In 2011, we published a first book on the history of the Soyuz launcher that was developed by Korolev and launched more than 1,800 copies. 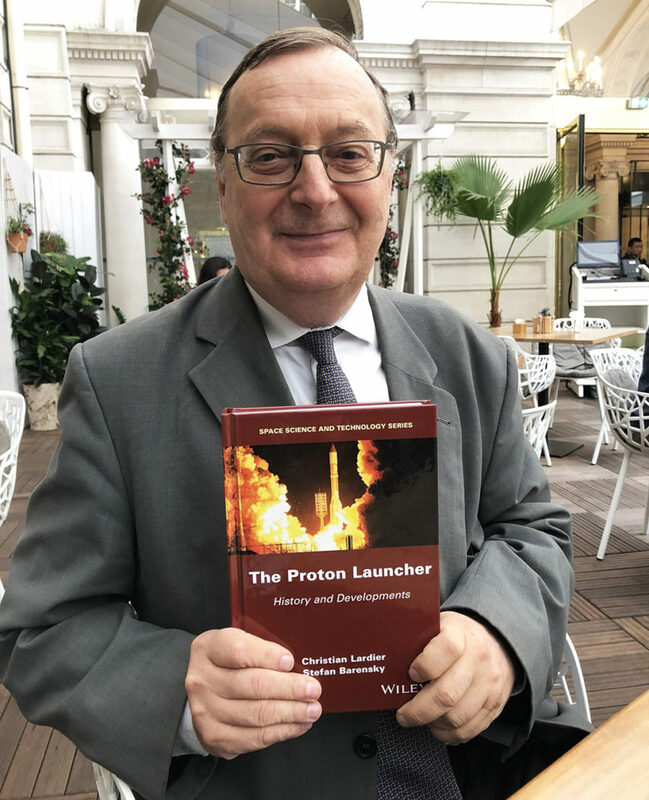 This time, we tell the story of the Proton, the main competitor of the European launcher Ariane, which was developed by Chelomei and launched more than 400 copies. Finally, the last book of the trilogy will deal with the many developments of Yangel. In the three books, the first part deals with the history of rockets in the USSR / Russia (East) and the second part on the history of their commercialization in the West. The Proton Launcher was published in February 2018 by Wiley-ISTE. This book is a must for all fans of the Proton rocket! You can purchase the book online through Wiley by clicking here.